According to their website, F.A.S.T. 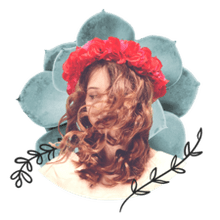 Shampoo and Conditioner contains a proprietary blend of natural herbs and essential amino acids that are combined to provide the basis for the ultimate in healthy hair growth. 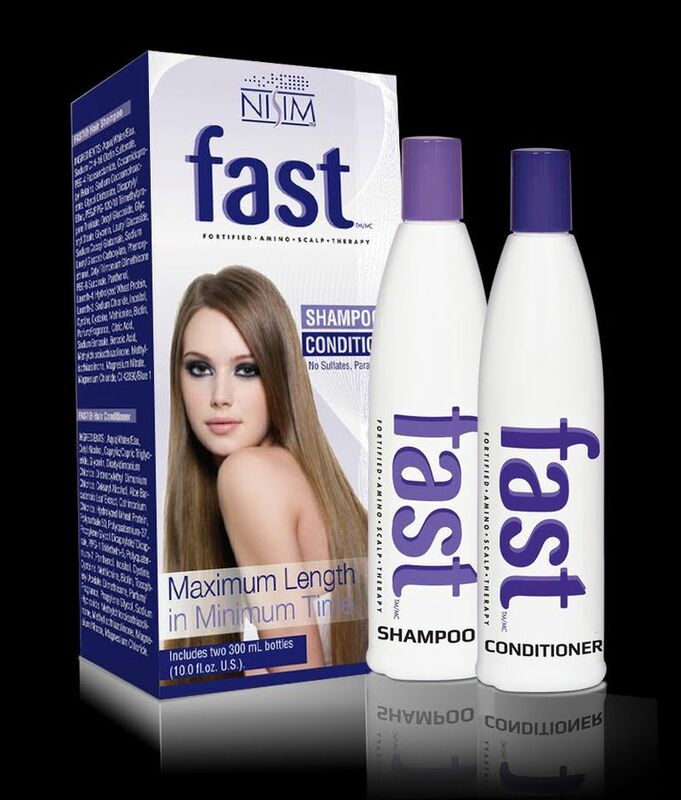 F.A.S.T is a shampoo and conditioner system that works in combination to provide the best results possible. If you've ever been disappointed with a haircut and wanted to grow your hair out, you know how frustrating the process can be. I decided to find out if F.A.S.T really lives up to their claims when growing out a very short pixie haircut. Everyone's hair will respond a little differently to any hair product, and the same holds true for FAST. During this little experiment, my hair started at 2 inches in length. I decided to measure from the slowest growing part of my hair, which is the top front fringe section. In a previous experiment to grow out my natural hair color, it took 7 months to grow my hair 2 inches in length. This gave me a pretty good place to start. My hair is not color treated, is not really too thick or too thin and is neither dry or oily. My hair is rather normal and average. I use F.A.S.T. Shampoo and Conditioner 4 - 6 days per week and will be getting regular haircuts to shape my hair and trim the ends every six weeks. F.A.S.T Shampoo is not sulfate free or paraben free. I had previously been using this organic sulfate free shampoo from CHI. The first thing I noticed about the F.A.S.T Shampoo is that it lathers very richly and your hair feels very clean after using it. Following the directions on the bottle, I washed my hair twice during each shampoo making sure to massage the product very well into my scalp and allowing the shampoo to sit for 30-60 seconds during each shampoo. I then rinsed in warm water. I followed each shampoo with the conditioner, again making sure to massage the product well into my scalp and allowing the product to penetrate into my hair for a few minutes before rinsing well with warm water. During my first few weeks of using F.A.S.T I had the opportunity to browse the web and talk to other people that have used F.A.S.T. Many people were pleased with the results, but the primary complaint was that the product was drying and caused color to fade. I did notice a bit of drying, but it was easily remedied by using a weekly deep conditioner. I'm not surprised that the shampoo caused dryness, honestly. It's full of protein and not sulfate free. Both are known causes for added drying effects and color fade in hair. Color fade wasn't an issue for me because I did not color my hair at the time of using F.A.S.T. I guess the way I see it, you can't really have the best of both worlds in this case. If color fade is a concern, other steps can be taken to combat the problem. The smell of the product was pretty unremarkable. I honestly don't think it smells like anything. During the first month of using F.A.S.T., my hair has grew one half of one inch. A lot of people's hair grows at that rate, however my hair tends to grow painfully slow. This was a great result as far as I'm concerned. Over the following six months I noticed the same rate of growth of approximately one half inch per month through the fringe area of my hair. I had regular haircuts every six to eight weeks, cutting the back/sides to allow the top and front sections of my hair to catch up. The more I used F.A.S.T. the faster the rest of my hair seemed to grow. While I didn't track the growth in any other section of my hair than the fringe section, I noticed significantly faster hair growth. The only negative I could possibly note about the product is I found it to be drying, although I kept the dryness easily at bay with regular deep conditioning treatments. I'm extremely impressed with the results of F.A.S.T. Shampoo and Conditioner and would recommend it to anyone looking to grow their hair out. The only reason I have rated the system with four stars instead of five is due to the fact that the product is a little drying and caution does need to be taken if color fade is a concern for you. Also, keep in mind that if you do color your hair using F.A.S.T. you will need to color more often simply because your hair will grow out faster.